Dadgum, we are in the heat of summer now! Walking outside is liking walking into a sauna. Well, at least it is here in my part of the world. Thank goodness we are blessed with air conditioning. Makes you wonder how those fancy ladies back in the 19th century handled summer with all those layers of petticoats and dresses they wore. And we all know there was no deodorant back then either. I think they tried to cover up the funk with perfume. That must have been the stinkiest time to live in. It all sounds romantic in books but you know that had to be one smelly time in our country’s history! 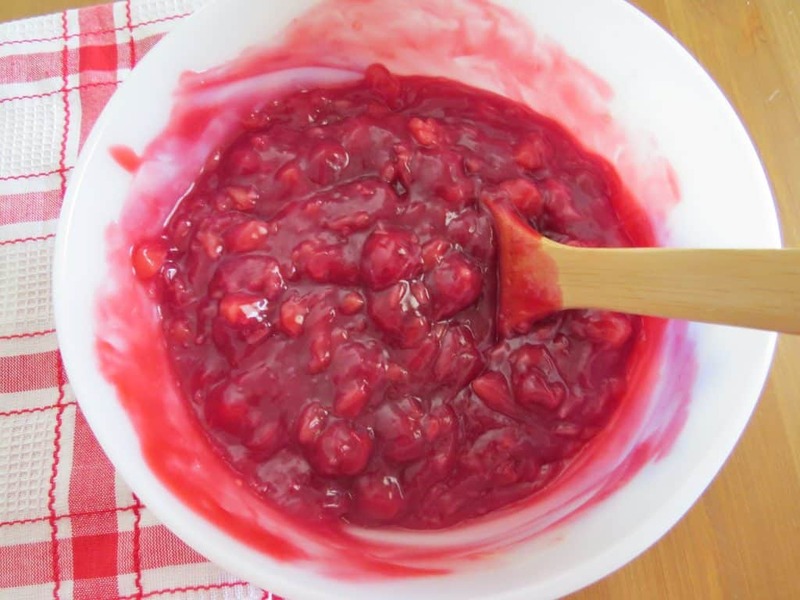 And now, I have to transition from stinky, sweaty historical folks into this Cherry Pie Fluff. 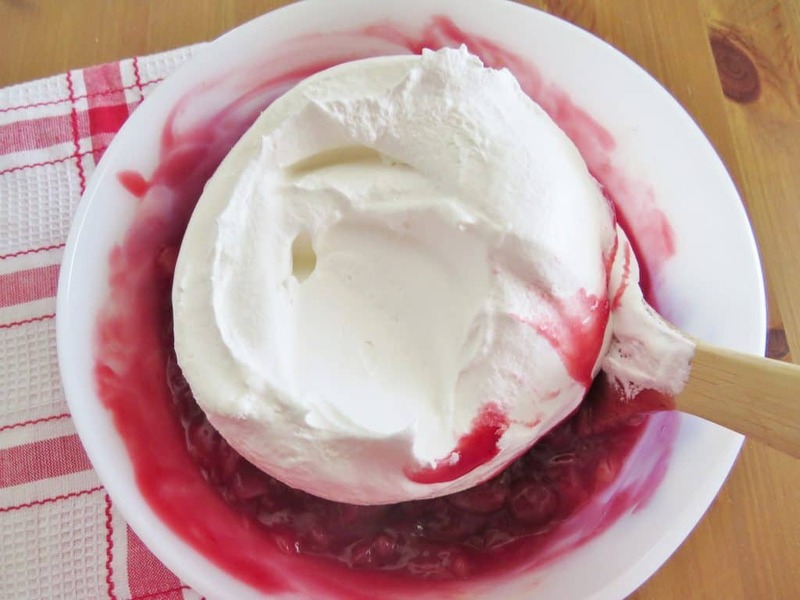 I bet those hot, stinky Colonials wished this Cherry Pie Fluff was around back then because it sure is cool and refreshing. (How was that transition??) 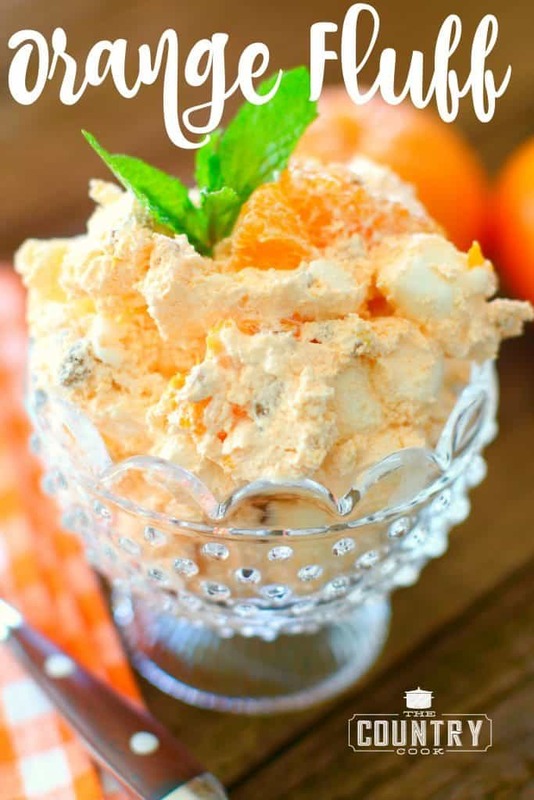 With only 4 Ingredients and no baking involved, it is the perfect summertime treat. 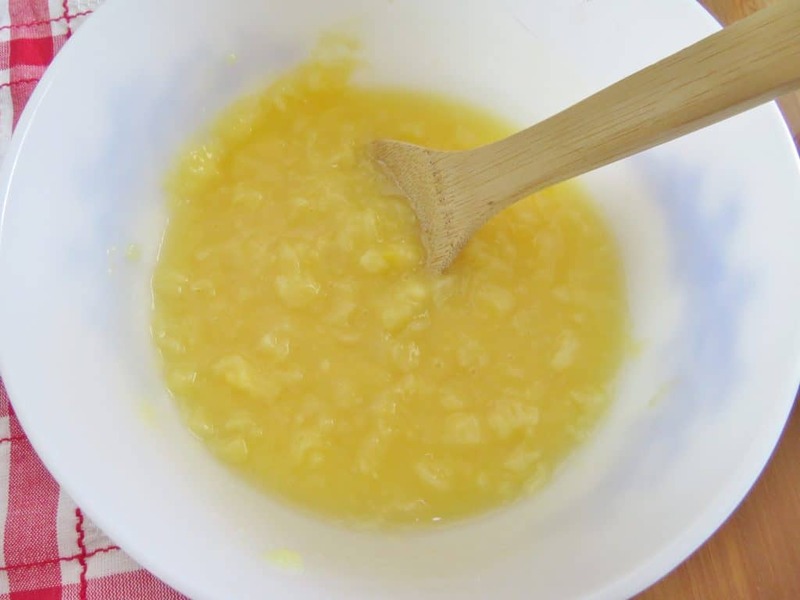 In a medium bowl, combine undrained pineapple with dry cheesecake pudding mix. 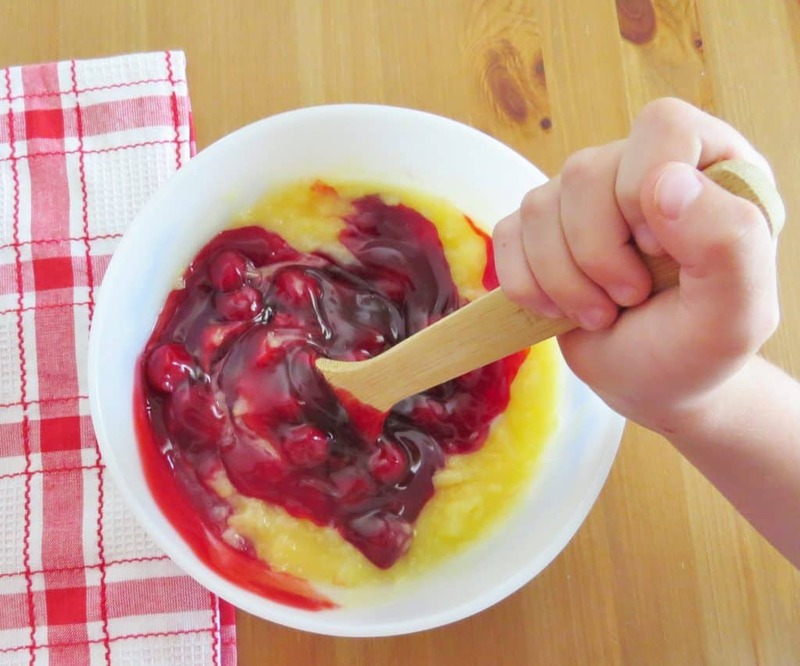 Stir in can of cherry pie filling. Small hands do well with this job. My Alex is a superstar stirrer. Looks good already, huh? But there’s one more step! If you like, you can always add in a few chopped walnuts or pecans. You can serve this right away. Just make sure you cover and store leftovers in the fridge. Note: Want to make this more “figure-friendly?” Just substitute ingredients for their low/no sugar counterparts! 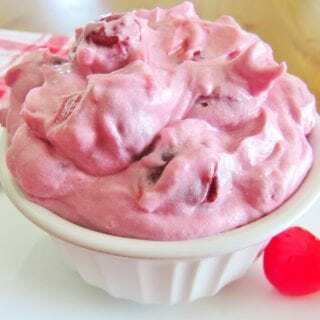 Cherry Pie Fluff is a no-bake dessert that is light, fluffy and flavorful. 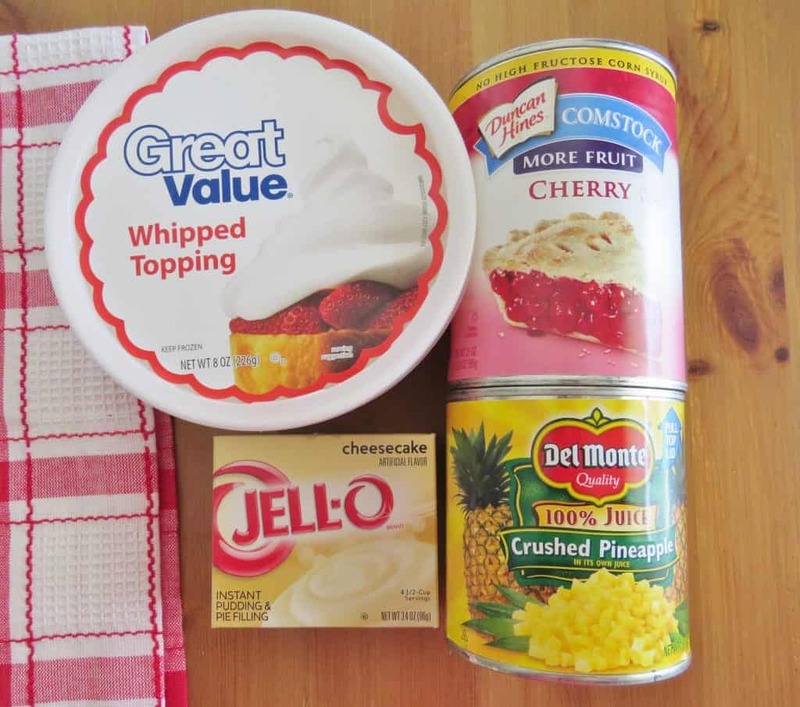 Cheesecake pudding, cherry pie filling, whipped topping and pineapple come together for a delicious summer treat! Then gently stir in whipped topping. If you like, you can always add in a few chopped walnuts or pecans. You can serve this right away. Just make sure you cover and store leftovers in the fridge. Want to make this more "figure-friendly"? Just substitute ingredients for their low/no sugar counterparts! 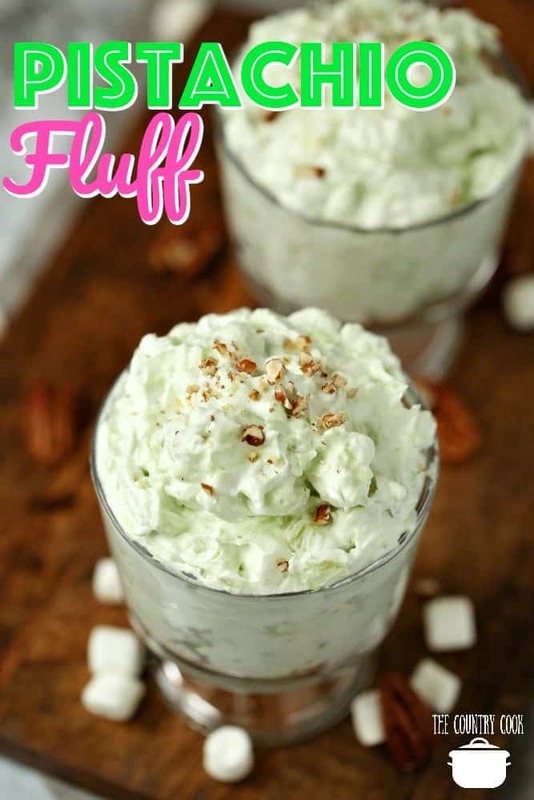 I make this using dry pistachio pudding and miniature marshmallows, and crushed pineapples its delicious.oh don't forget the cool whip This recipe have many variations….pistachio delight, Watergate salad and ambrosia salad. 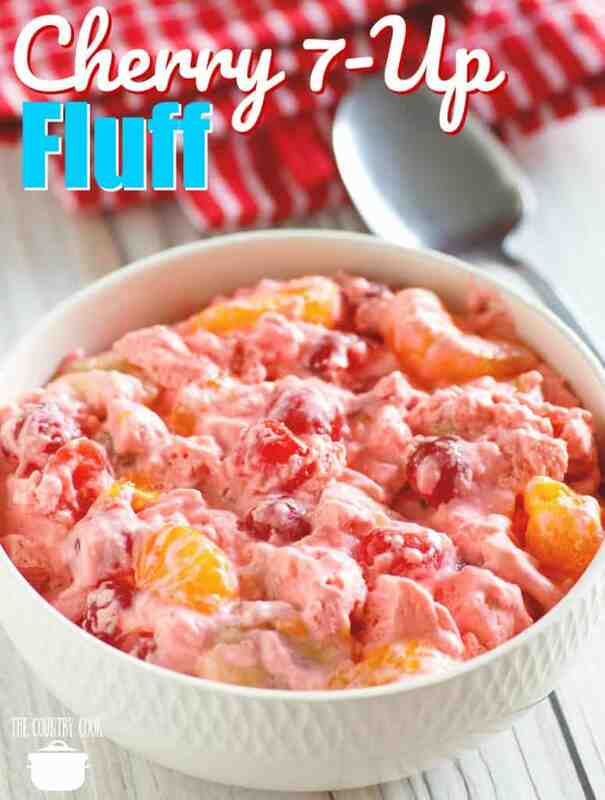 On the side of the pistachio box its called Watergate..You can try different ones, Im going try the cherry fluff. 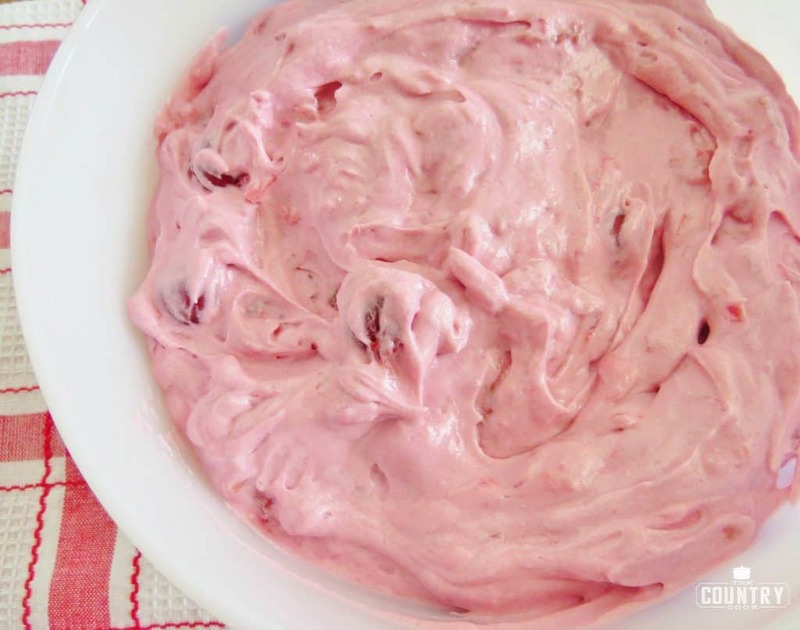 I make a version of this ,mine calls for a can of cherry pie filling,a can of crushed pineapple,a can of Eagle Brand Milk,and a large container of Cool Whip,I put everything in a big bowl and mix with a hand held mixer,I didn't know the name of it so we call it The Pink Stuff,I do know it doesn't stay around very long. Trying this for Christmas Eve. We LOVE cherries! Any idea how long it will keep? Can I make it in the morning for a 5:30 dinner? 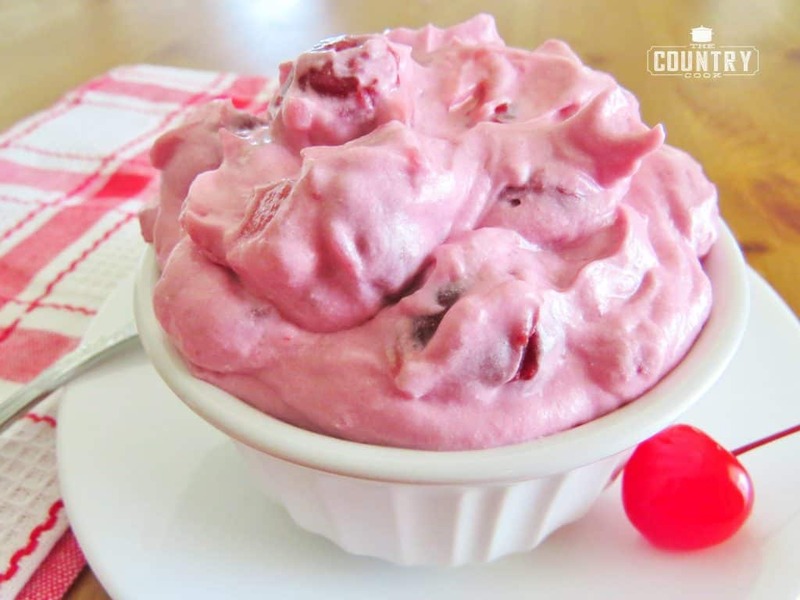 I have made this with cherries in a jar drained and fruit cocktail drained, with nuts and coolwhip. 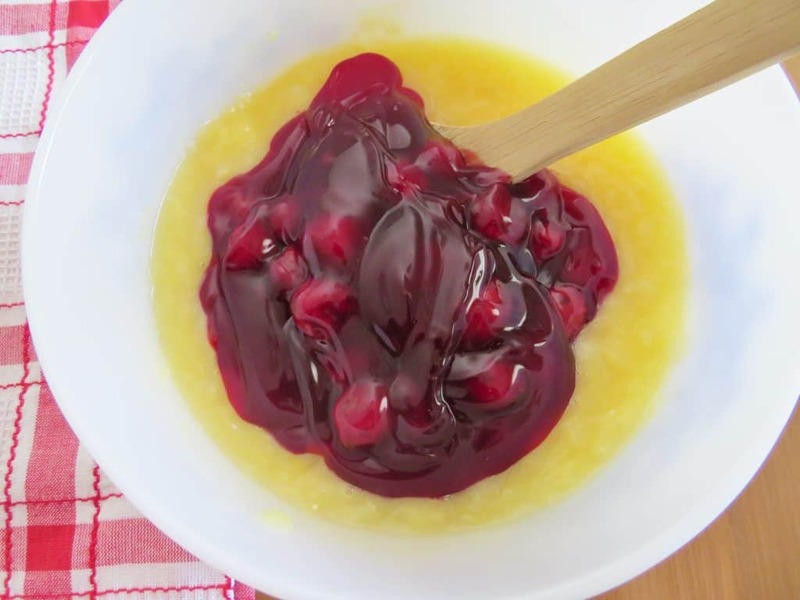 Instead of pie filling and pudding. Will the filling hold up if I were to put in graham cracker crust? 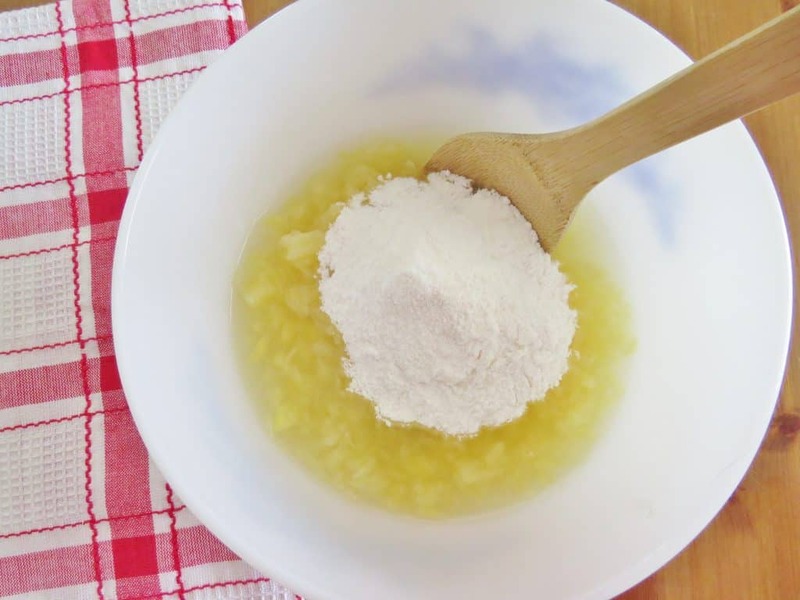 Thanks for another recipe that I must try. Pinned it! You Rock! I bet if you froze this and then cut it into squares it would be great too. I'm always looking for low carb or sugar free recipes for my hubby's type 2 diabetes. 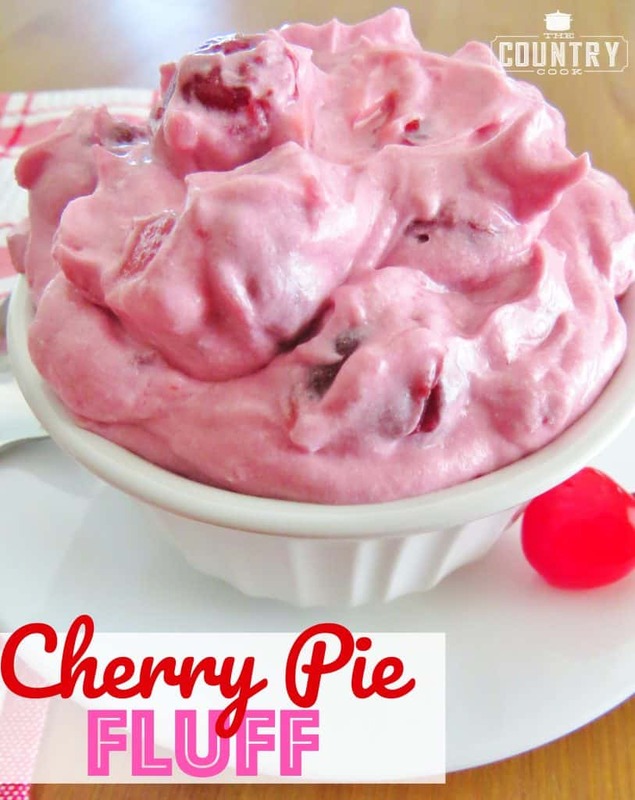 I used sugar free cheesecake pudding mix, no sugar added cherry pie filling, lite whipped topping, and no sugar added canned peaches cut into small pieces plus a few chopped walnuts. It worked! He is a happy camper. P.S. pineapple is one of the highest carbohydrate fruits so I generally avoid it. I'll bet this tastes good frozen too! 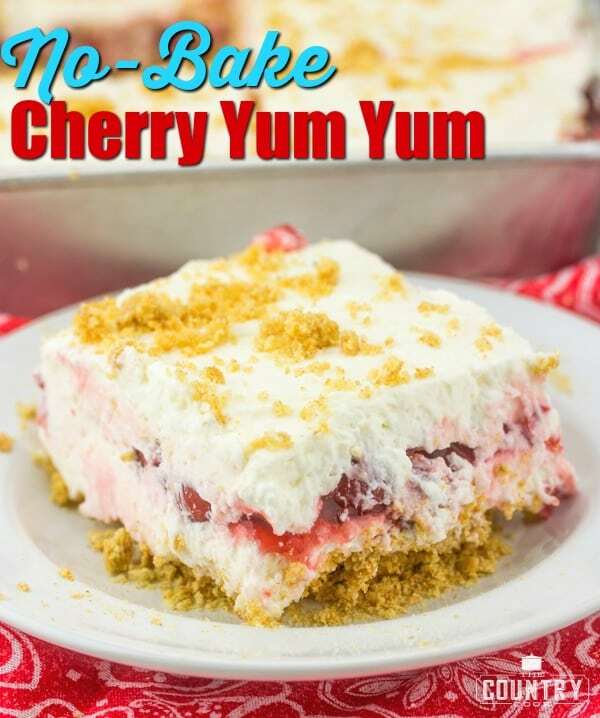 How about putting it in a graham cracker crust and making it Cherry Fluff Pie?